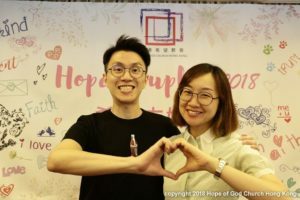 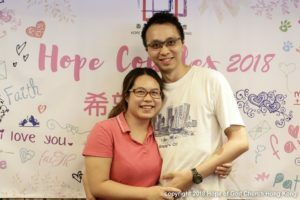 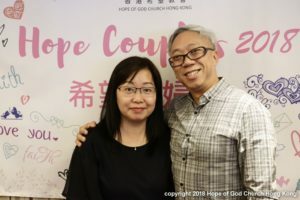 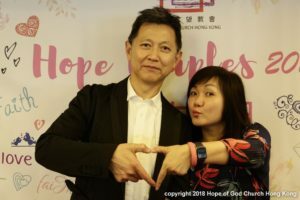 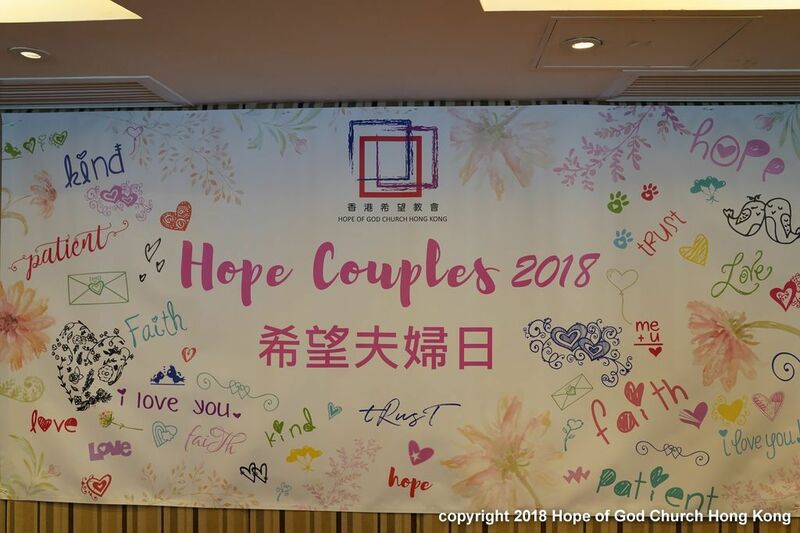 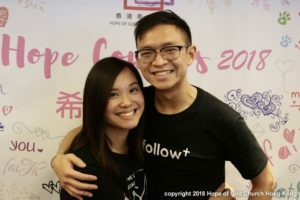 Thank God for the Hope Couples Day ! It is God’s grace that 25 lovely couples joined together and enjoy the blessed and unforgettable moment. 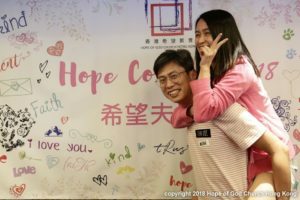 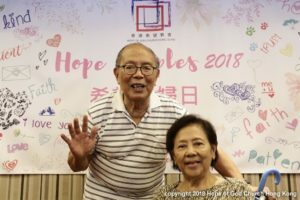 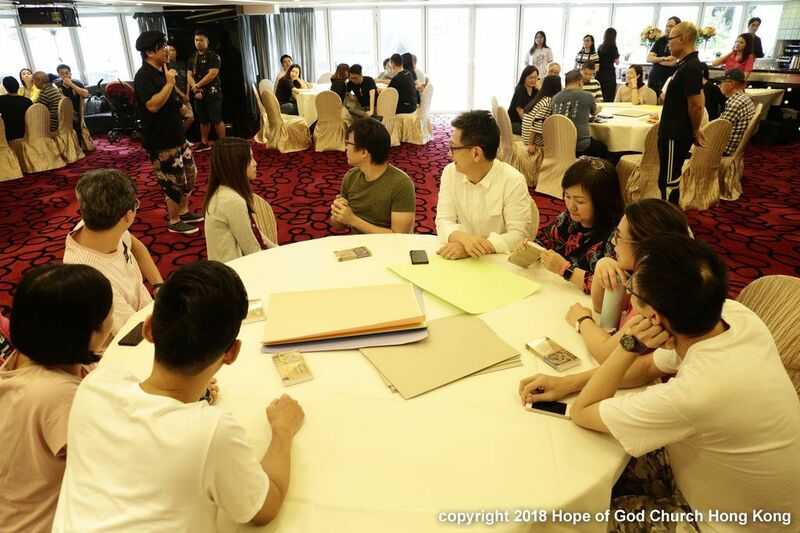 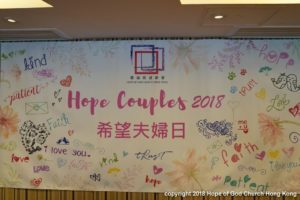 This year, the venue ofHope Couples Day remains the Panda Hotel inTsuen Wan. Notwithstanding continuously heavy rainfall recorded in Hong Kong in few days before the event, really thank Godfor securinga wonderful weather to us. 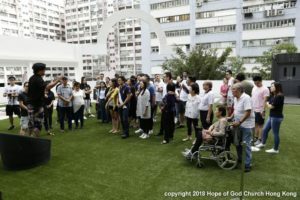 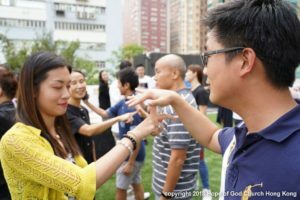 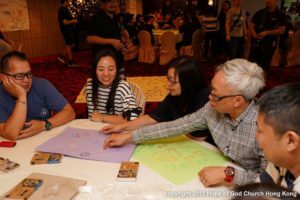 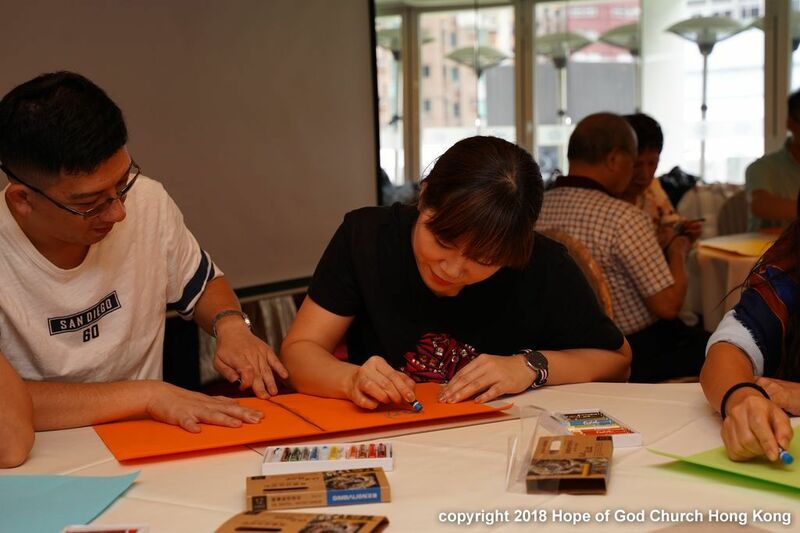 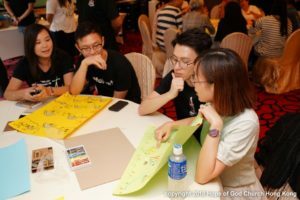 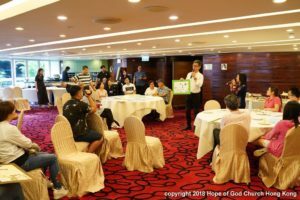 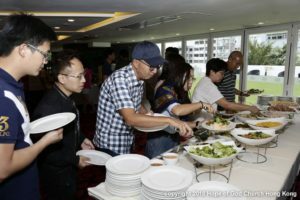 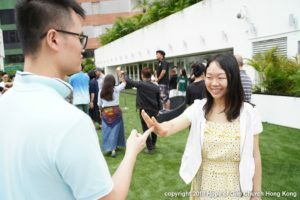 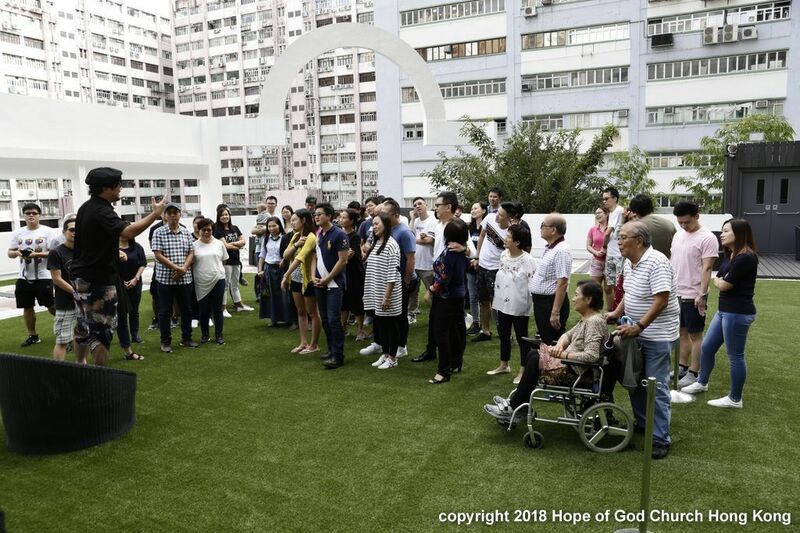 Refreshed by nice lunch buffet , couples commenced their fascinating “journey” prepared and guided by The Boys’ Brigade, Hong Kong. 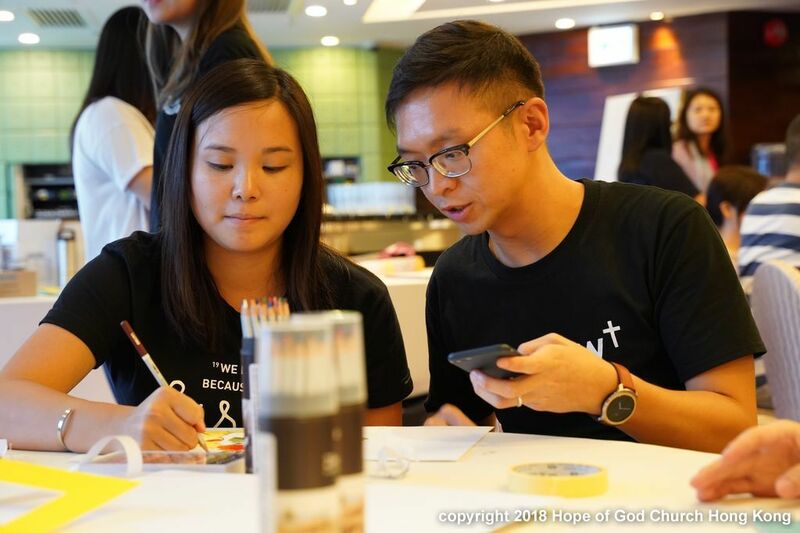 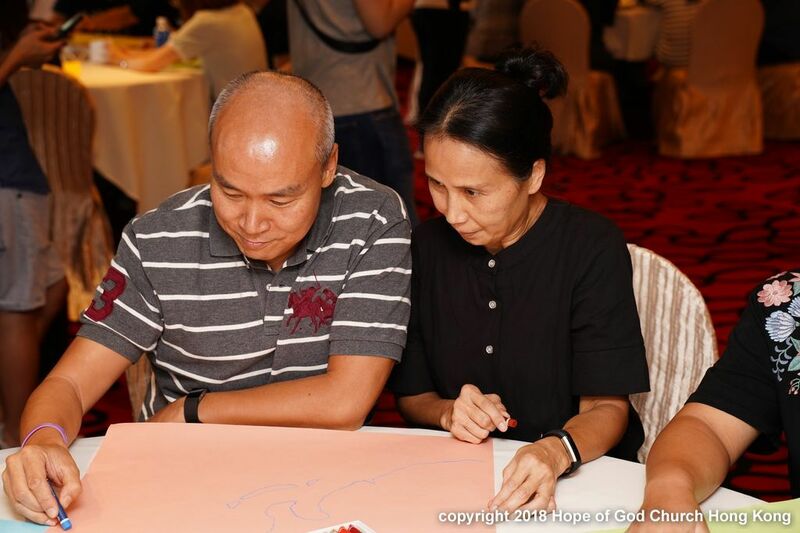 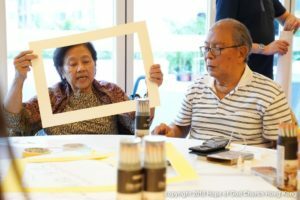 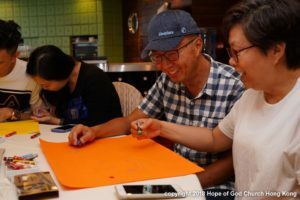 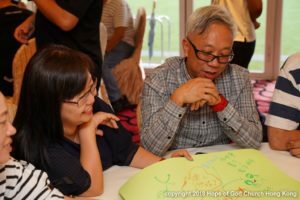 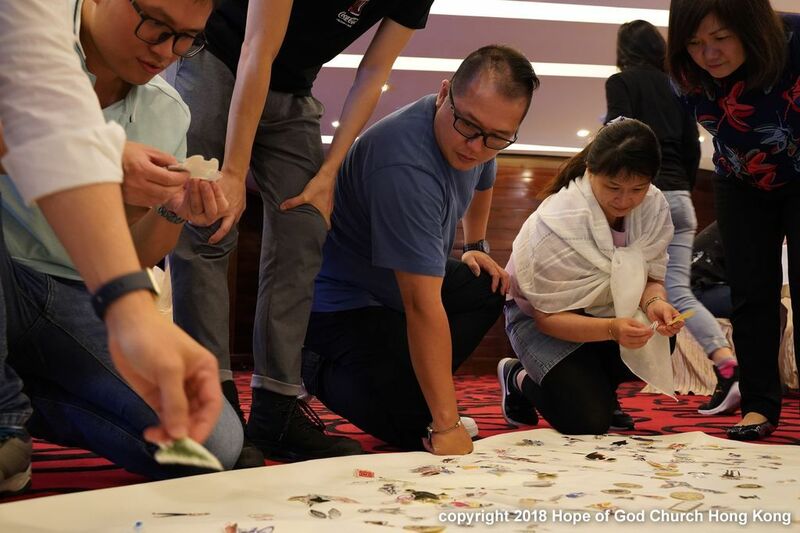 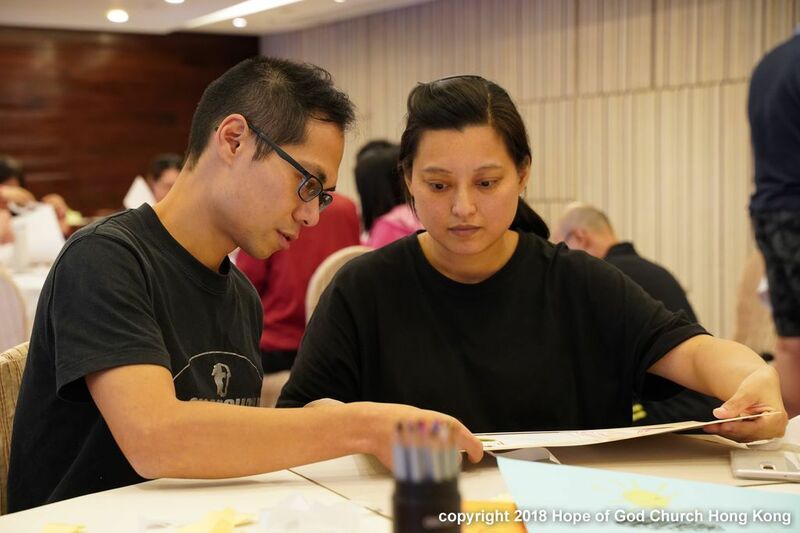 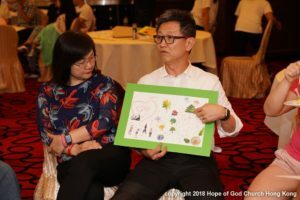 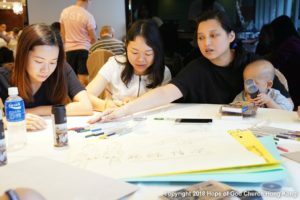 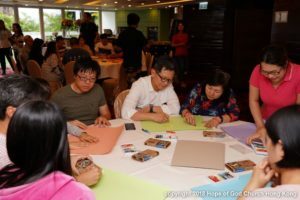 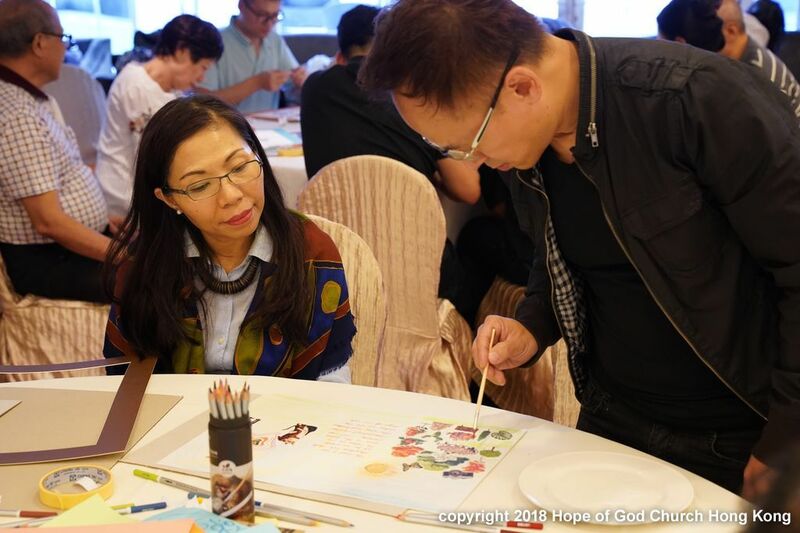 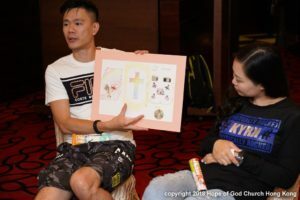 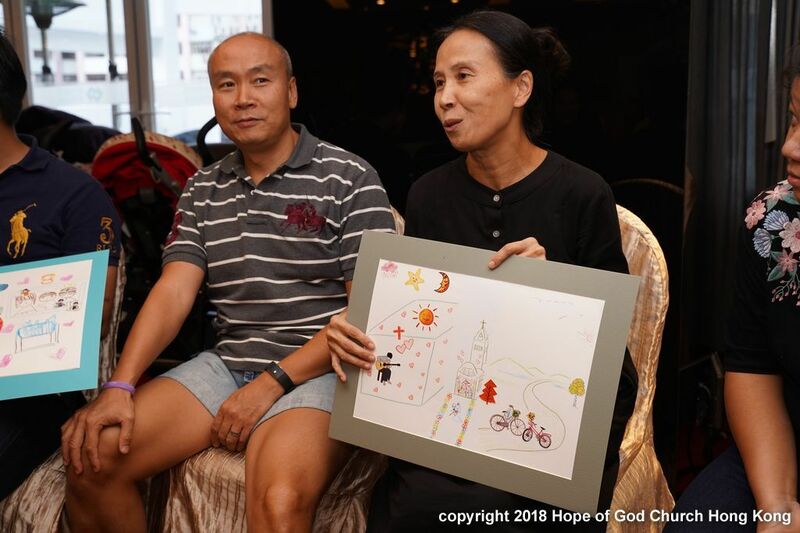 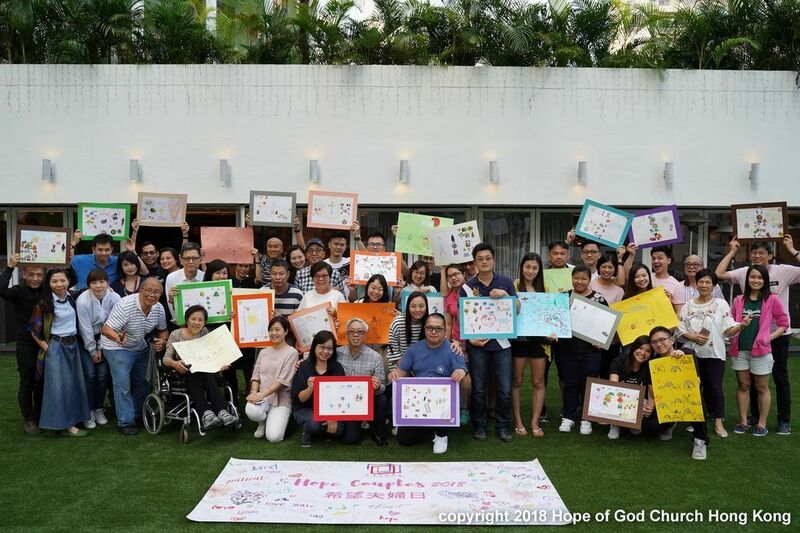 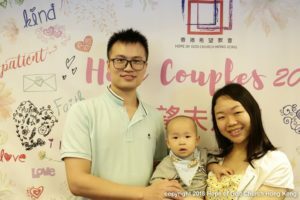 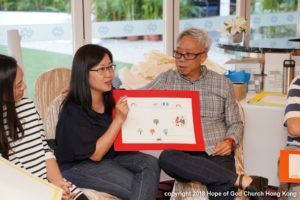 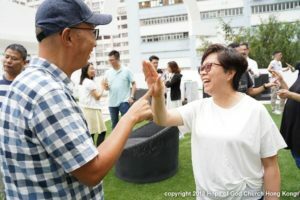 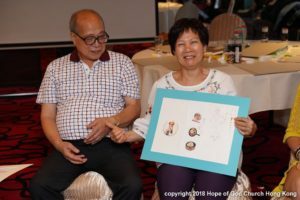 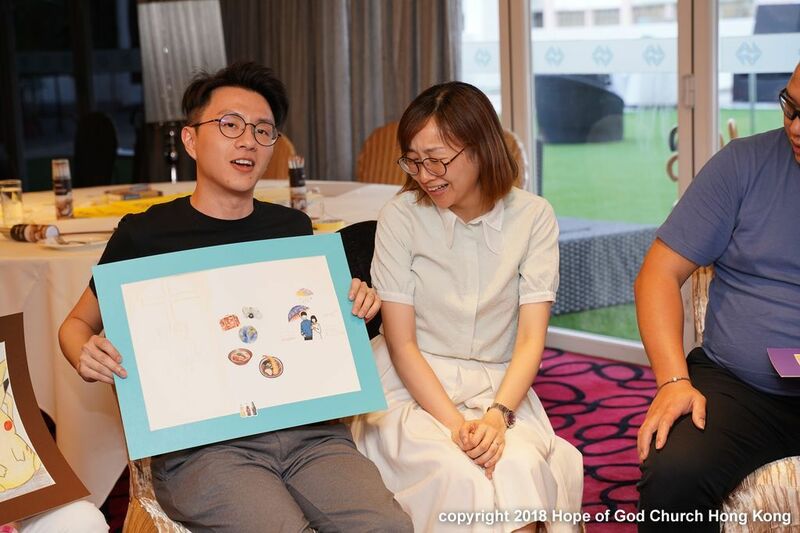 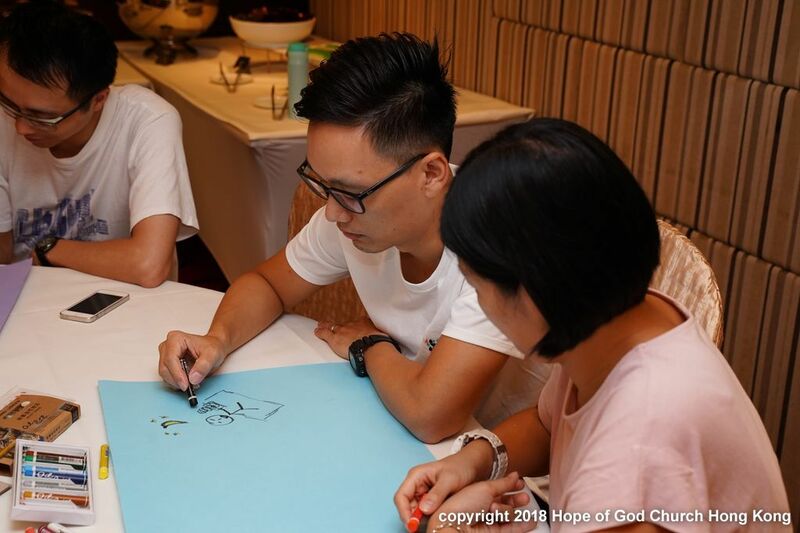 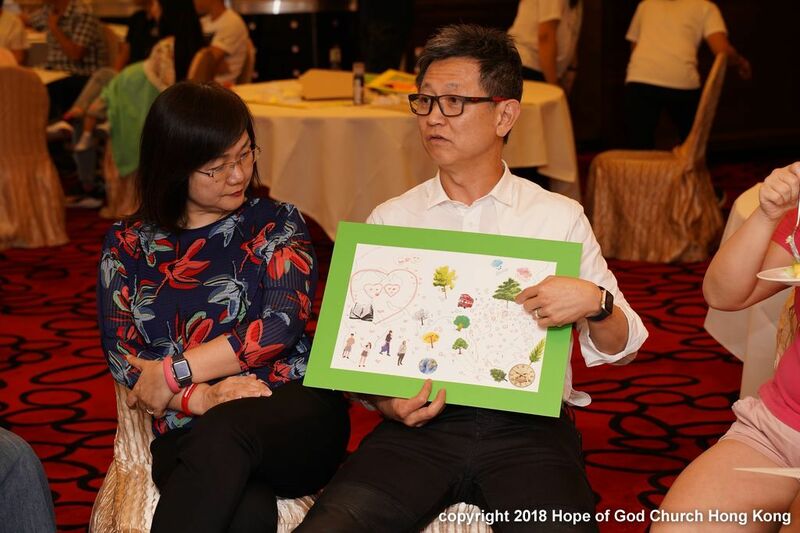 Through the warm-up game and two subsequent challenges, namely “Chat on Canvas” and “Artwork Creation – A gift”, all couples have funny, deep and excited communication among each other and had personal reflection on what is the most valuable thing in their lives. Prise the Lord that we could see many happy faces had similar thoughts in spiritual lives and participating church ministries. 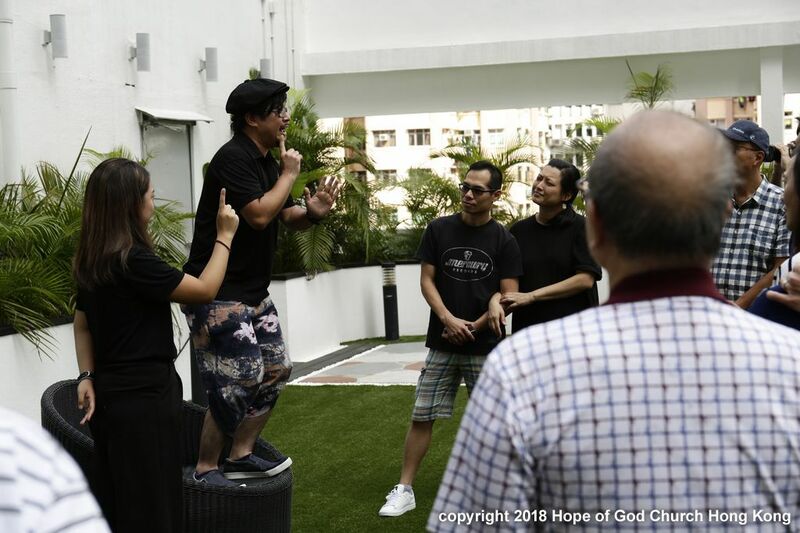 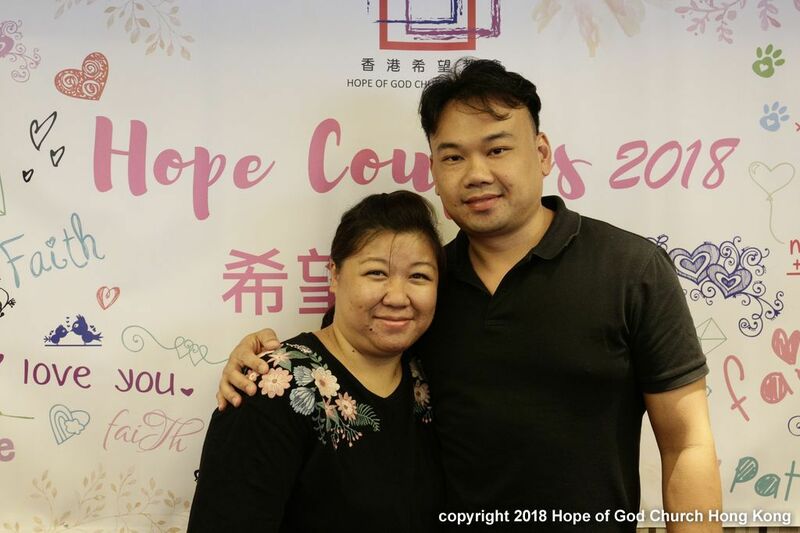 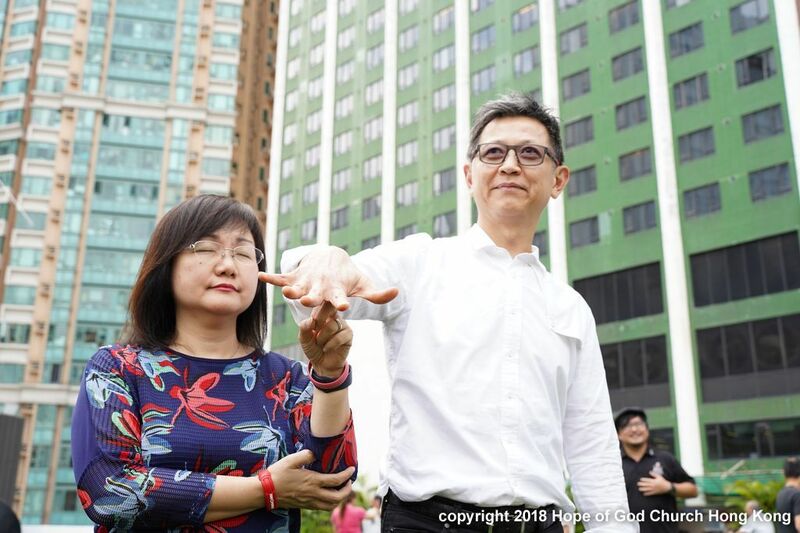 In concluding remark, Pastor Gavin recalled the words of God he preached in preceding Sunday Service that is to love each other by learning the love of God. 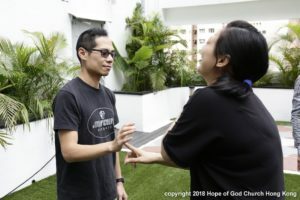 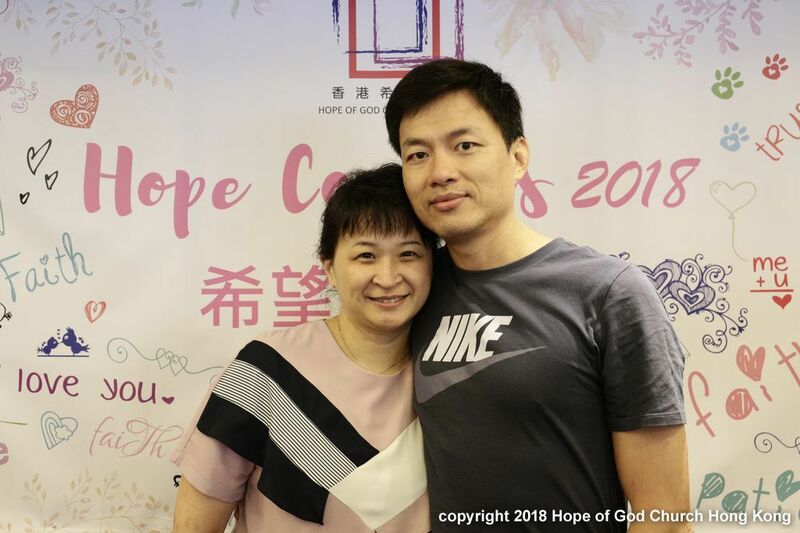 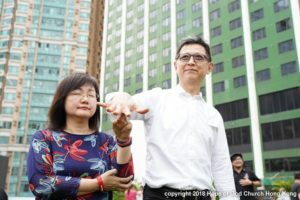 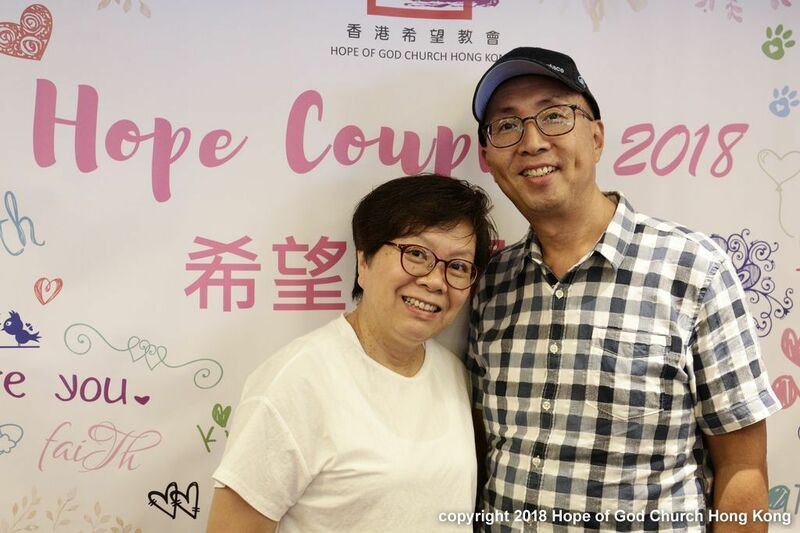 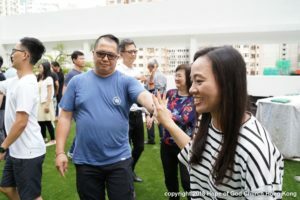 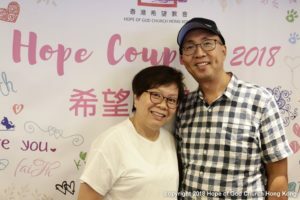 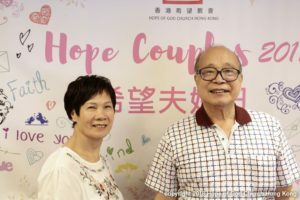 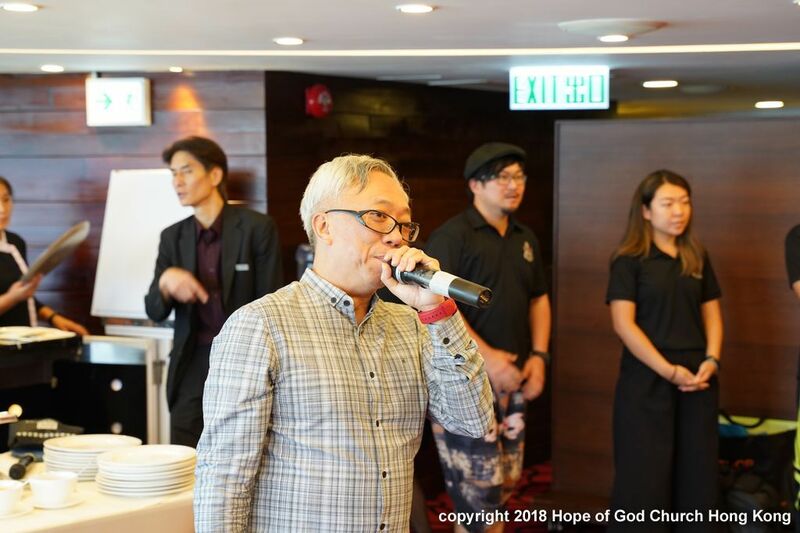 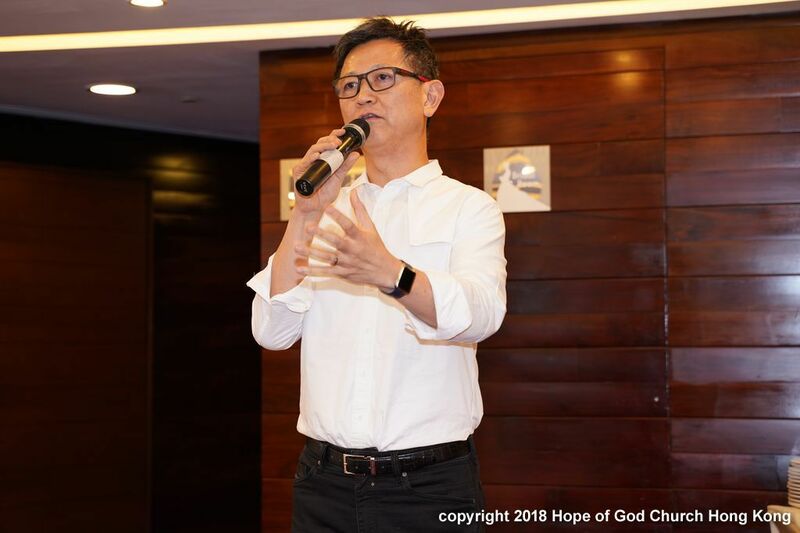 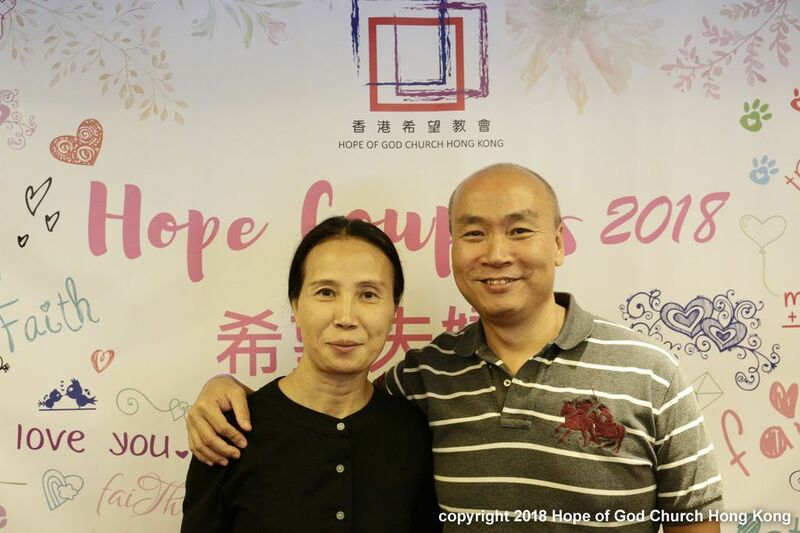 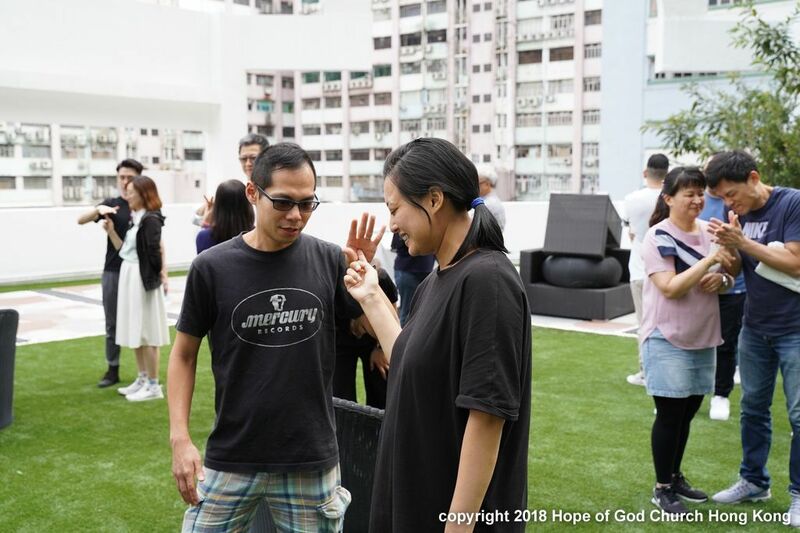 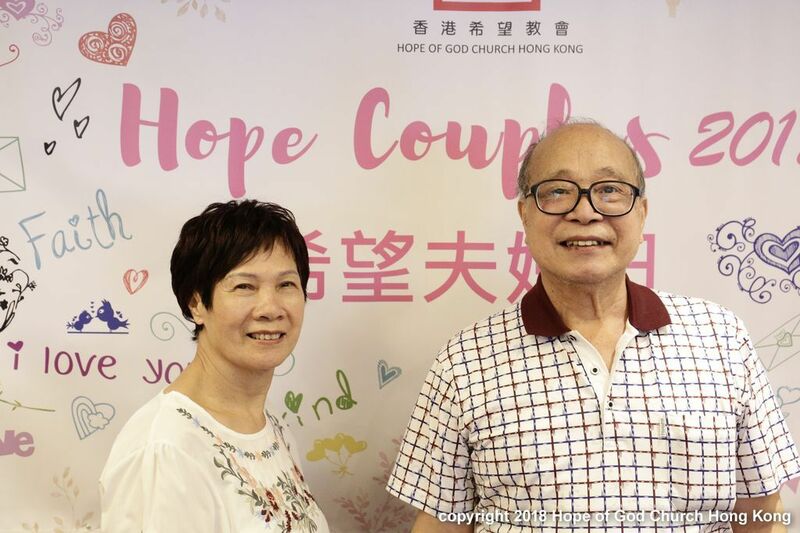 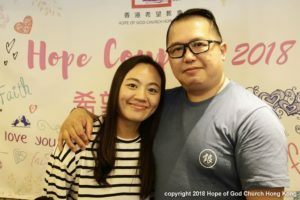 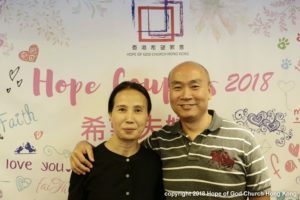 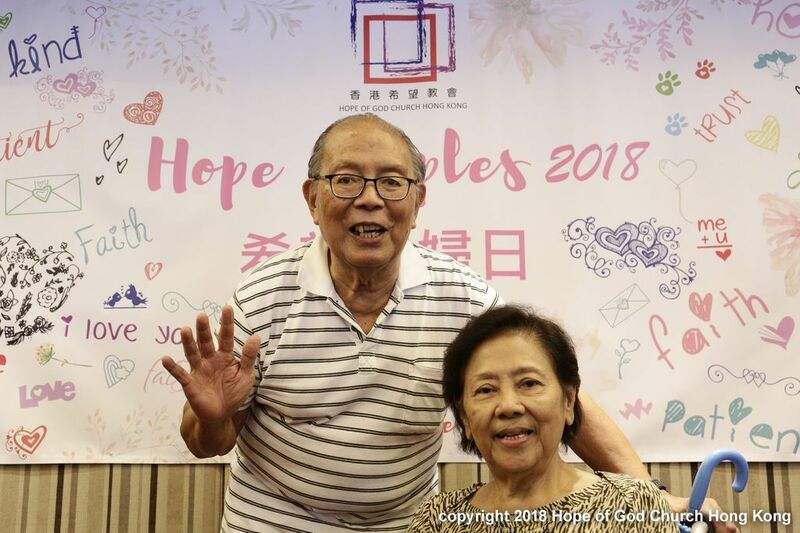 He shared his aspiration in the last 26 years in committing himself in our church as he invariably believes that building family in God with God’s love is most important. 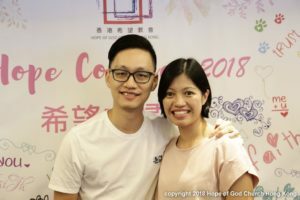 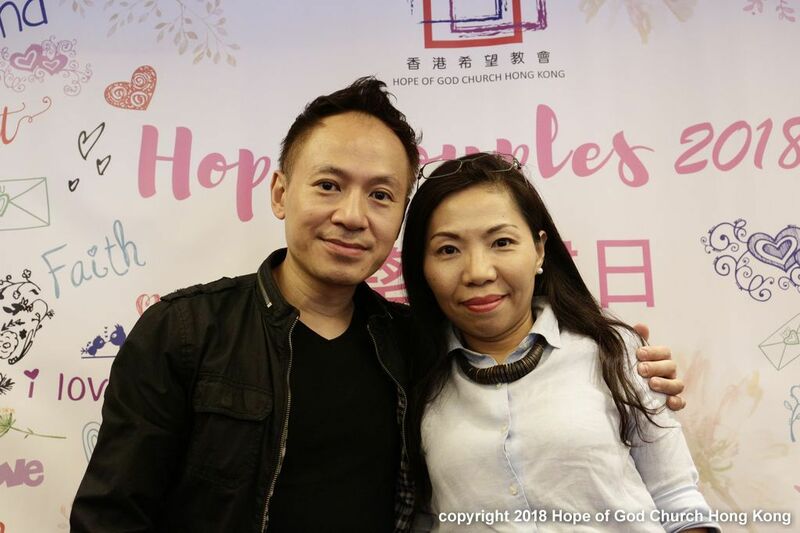 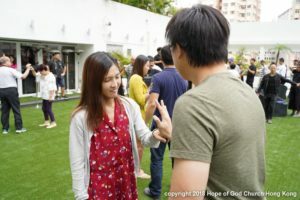 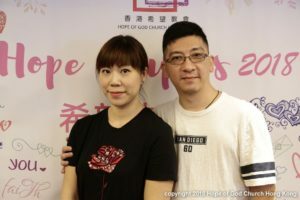 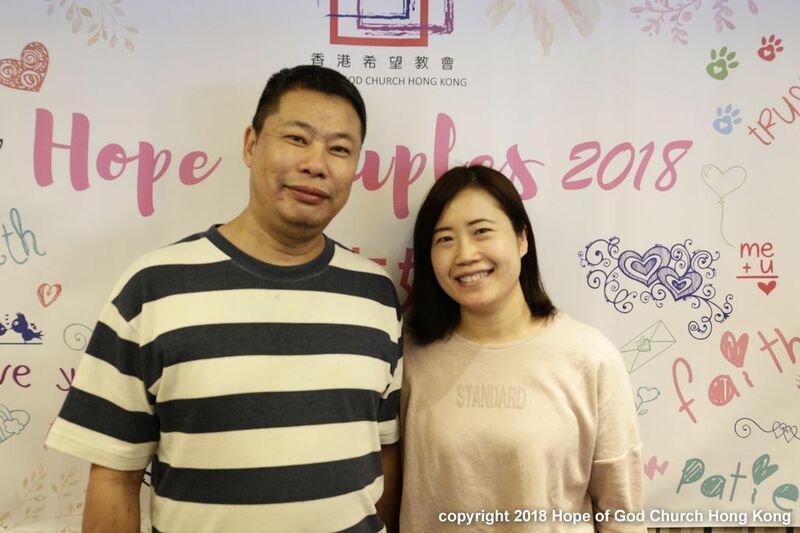 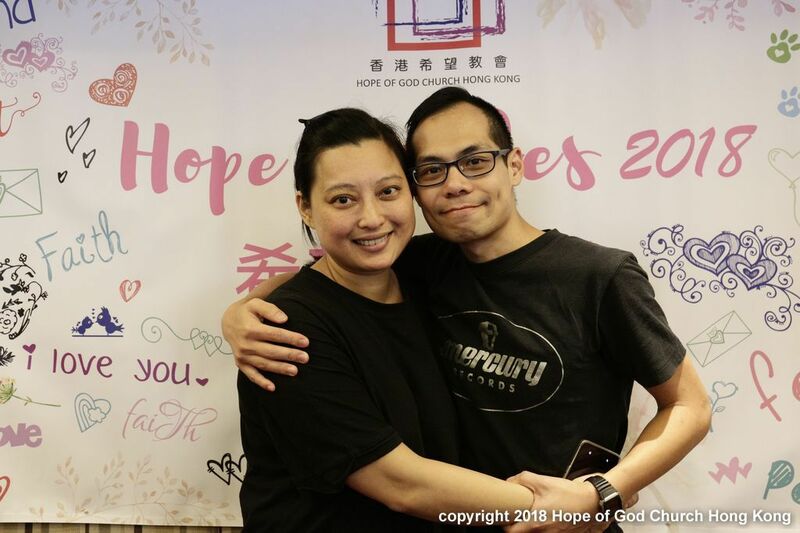 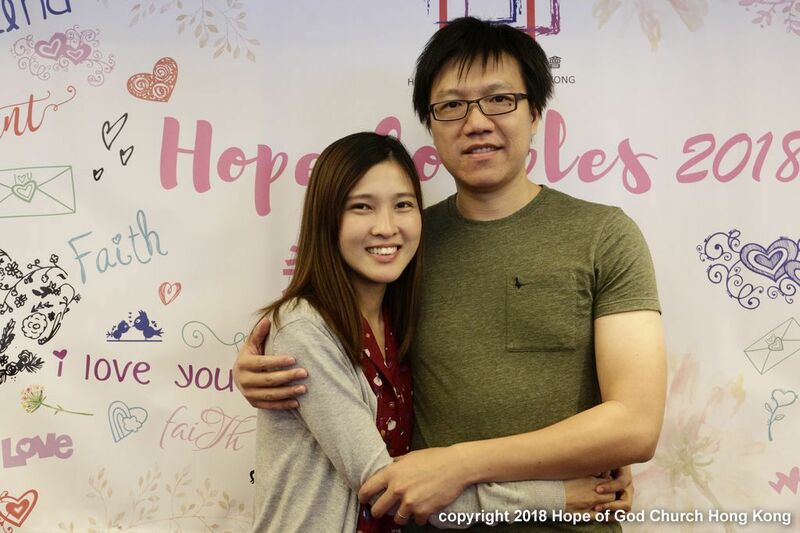 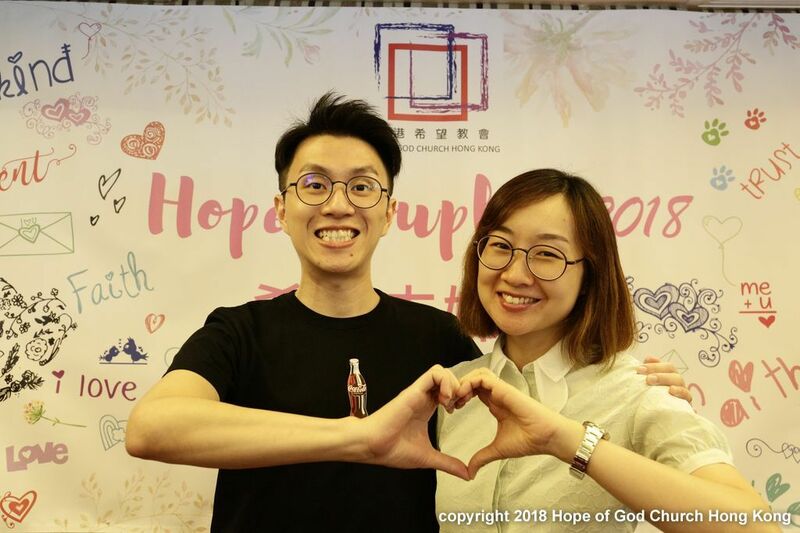 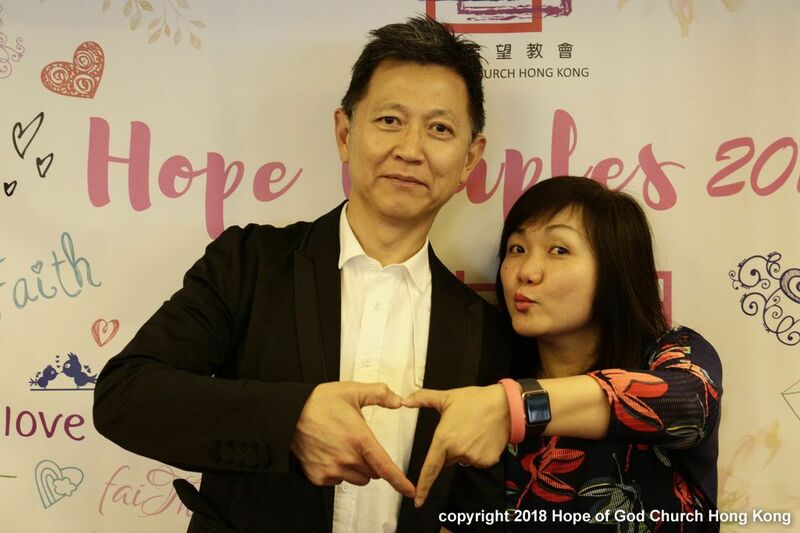 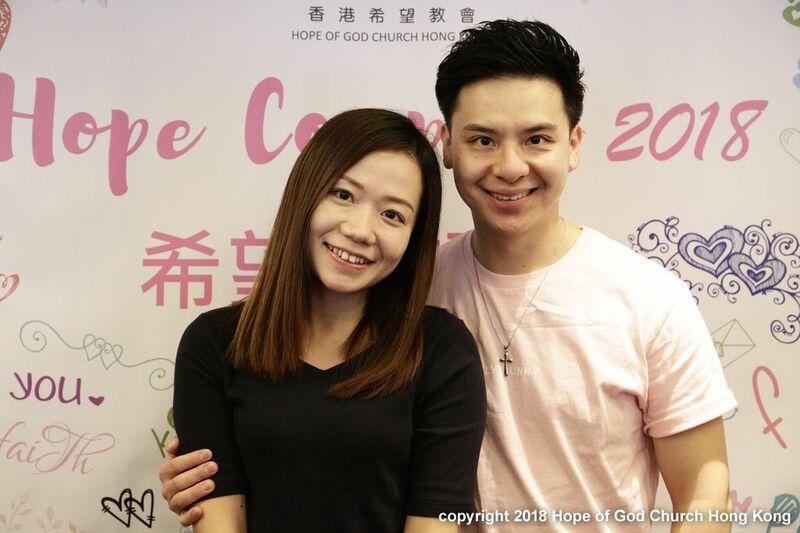 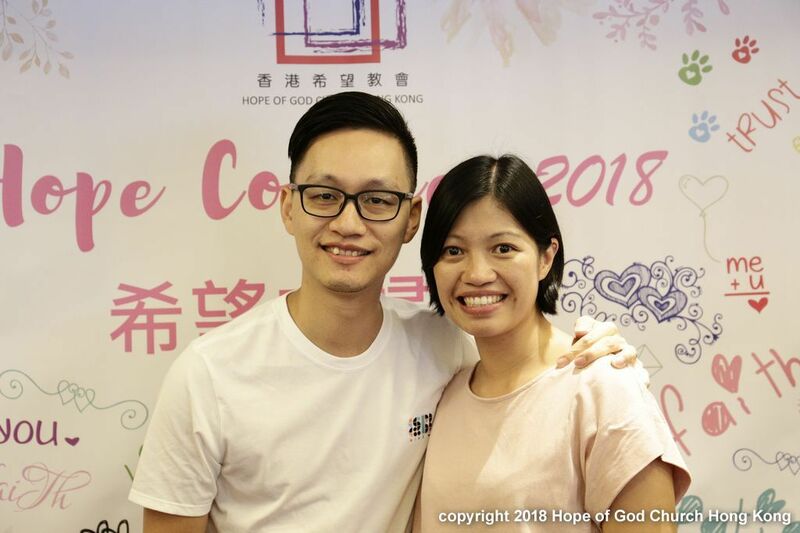 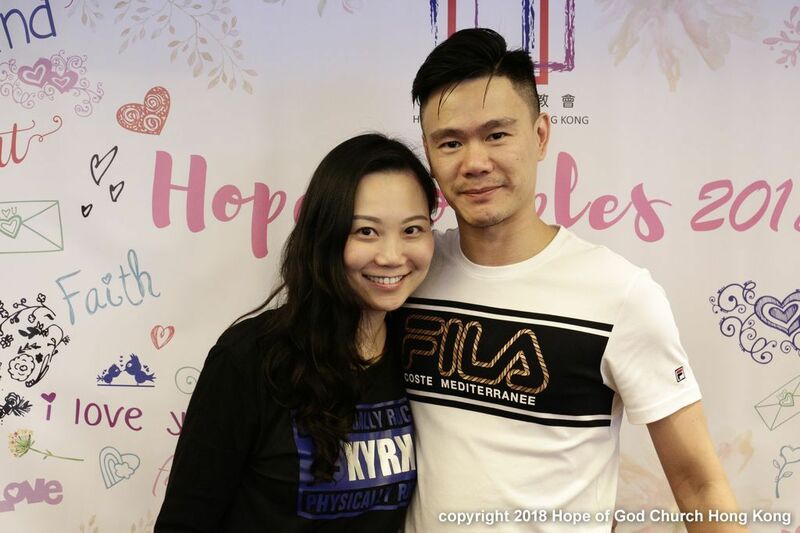 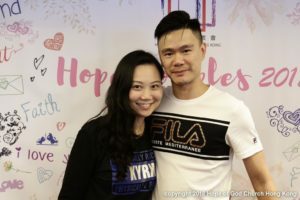 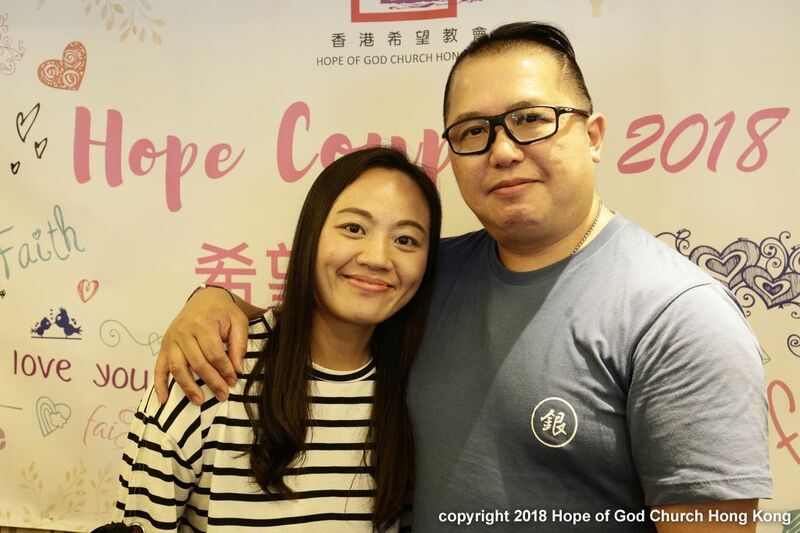 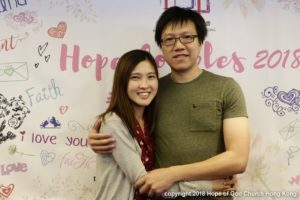 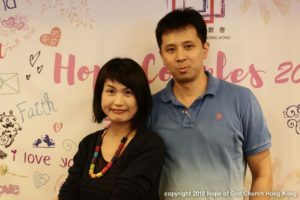 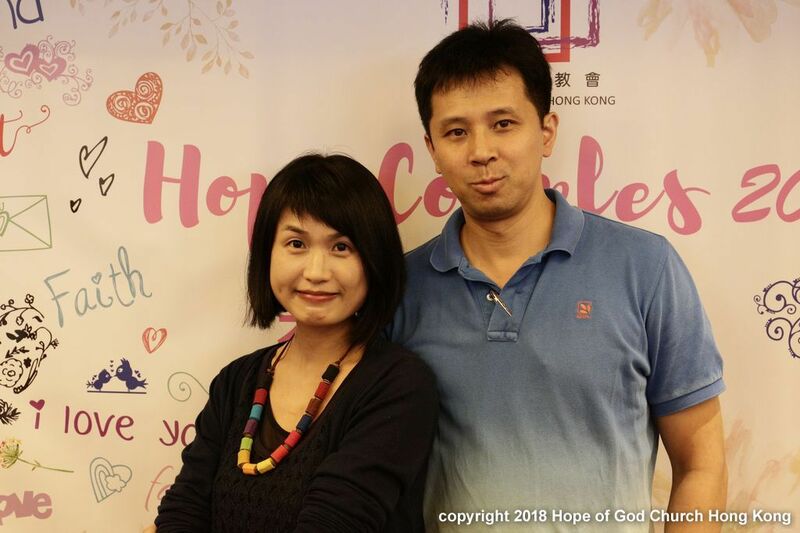 Finally, Pastor Gavin encouraged all couples tokeep following Jesus and keep experiencing God’s grace .